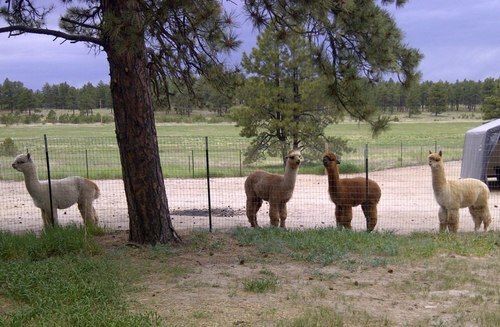 We are John & Coral Dillon and we are delighted to have you taking a look at our alpacas. We are very proud of what we have accomplished since starting our business in 2007. We love the lifestyle we have chosen but now age and medical issues are saying its time to reduce our numbers. See something you like? Make an offer! All reasonable offers considered. Keep a close eye on our auctions & package deals. Let us help you put together a package designed to meet your goals. We are NOT getting out of the alpaca business, but merely reducing the size of our herd. We will continue to breed for the finest and best! This is good for you, as we are ready to drop our prices and package some fantastic alpacas together to fit with you and your family or herd. Whether you are looking for breeding stock, fiber animals, or 4H animals, we can help! ***NEW CRIAS! 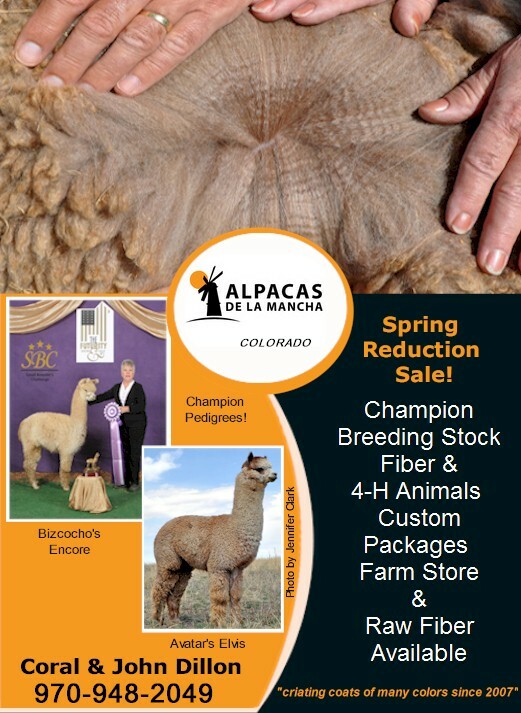 NEW ALPACAS ADDED TO SALES LIST! GREAT DISCOUNTS ON BUNDLES! 2018 is already more than half gone! We are very excited with our newest crias! They are fantastic! Because we are needing to downsize our herd as quickly as possible, we have now included our foundation females and herdsires on our sales list! We also have a few fiber/companion animals that can be included in packages for very low prices. ***ATTENTION HANDSPINNERS AND FIBER ARTISTS!!! Great deals on raw fiber. Wide range of colors, including many silver and rose greys, now available. Contact me with your color preferences.